Norman is a seemingly normal 11-year-old boy living in small town Massachusetts, isolated from his parents and peers because of one small detail: he sees and talks to the dead. No one believes him of course, except for a deranged uncle (John Goodman) who saddles him with a hefty spiritual responsibility to appease a witch who’s been haunting the town for decades. Prevented by doing so by the same bullies who torment him by day, the witch raises zombies from the dead to chase the townspeople, who fight back viciously. This movie turns out to be a parable about fearing what is different, and about not judging others. This lesson has to be harshly delivered, because nothing ever comes easily in the movies, and is all the more powerful when the message is delivered from the kids to the adults. But in its heart, it’s still a ghost story, a horror suitable for children, and it benefits a lot from its New Englan d roots. 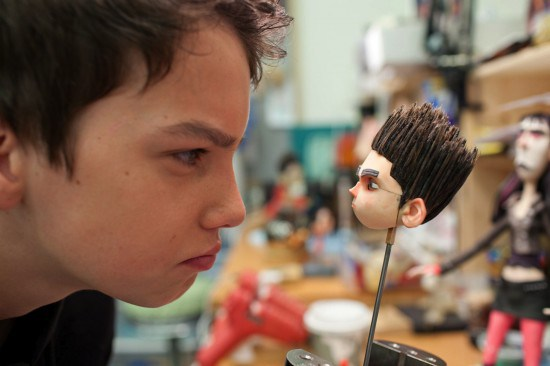 ParaNorman is stop-motion from the same animation team who brought us Coraline, capitalizing on the pioneering techniques from that film, and reaching new heights with full-colour 3D printing. It also happens to be the first mainstream animated film to feature a gay character, and was the first-ever PG-rated movie nominated for a GLAAD Media Award. 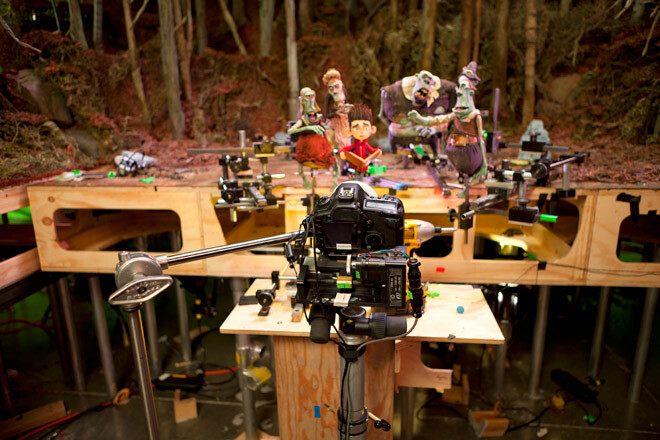 I have an enduring love for stop-motion because the building of real puppets and sets, and using actual cameras to film them gives the animation a detailed glossiness that I never get enough of. In one scene, I noticed that the sunlight was almost making Norman’s ears translucent, they glowed with the light behind them, and I was struck by how real it looked. I also love smart scripts, and this one’s endlessly quotable. It’s a family movie, but you don’t have to be a kid, or have kids, to enjoy it. The visual jokes and wit add another layer of appreciation onto what’s already a solid movie with not a small amount of magic to it. The filming, however, can be quite technical. First the animators record videos of themselves giving the performances, in order to use as reference. The directors give them notes on these tapes. The animators then animate a “rehearsal”, which is a very rough version of the scene shot with only half the frames. The directors then look at the rehearsal and give notes before the scene is shot for real. Animators usually turn in 5-8 seconds per week, depending on how many characters are in their scene. That’s gruelling work! To create the ghost effects, they did twice the work, filming each frame once with the ghost puppet and once without, layering them on top of each other to give it an ethereal look. 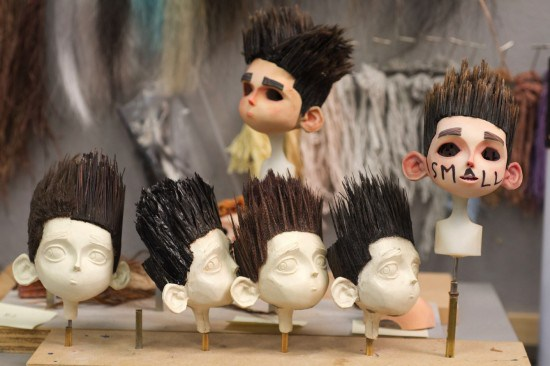 ParaNorman used 178 puppets in total, and over 31,000 individual face parts were printed for the production. Thanks to the face replacement technology created by the 3D Color Printer, Norman has over 8,800 faces with a range of individual pieces of brows and mouths allowing him to have approximately 1.5 million possible facial expressions. 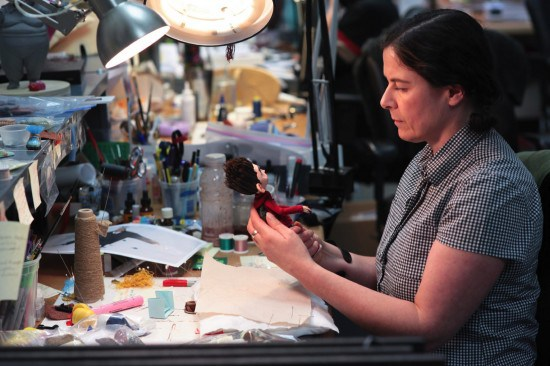 That’s already a huge leap over their work on Coraline, and the Laika studio has taken it even further with their more recent work, The Boxtrolls. Sean, Matt and I saw several of these sets and puppets when we visited Universal stud ios this summer. I love seeing all the craftsmanship that goes into these movies! I definitely like the spirit of ParaNorman. It has respect for its young audience – but I have the feeling it might also be a gateway drug of sorts to lots more horror down the road. 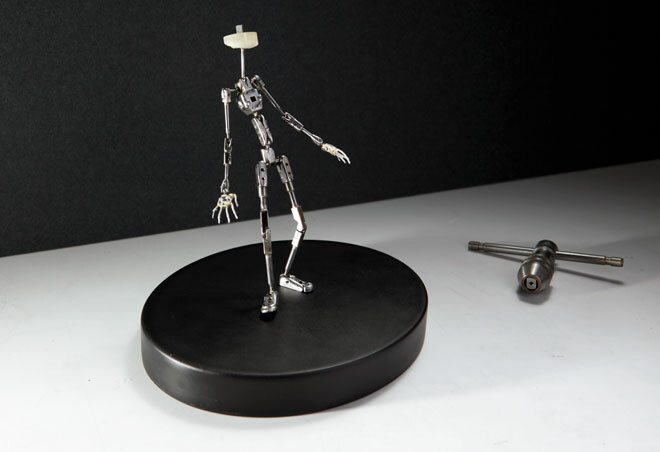 This entry was posted in Jay and tagged family movies, Frightfest 2015, stop motion animation on October 22, 2013 by Jay. Thanks Wired for these great photos. I had no idea how involved this process was. That is love for your art for sure! I love that you include behind the scenes photos. 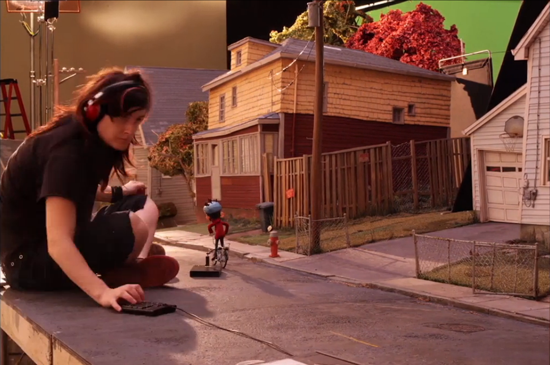 Stop motion is a real added bonus to enjoying the story. I was surprised by this movie. It was actually funny. Plus a movie nerd kid leads the way 😉 I forgot about the gay character, but that is a good point, and the character isn’t the stereotypical flamboyant gay like in a lot of movies or tv. When it comes to Halloween, ParaNorman is perfect for the younger set. Not as scary as Gremlins, but still lots of fun. Great behind-the-scenes pictures! I would love to be on set for one of these movies. 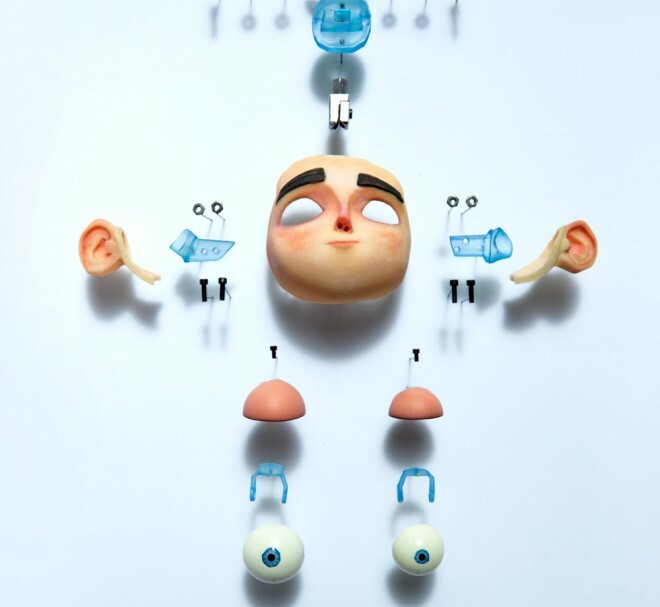 Stop motion is fascinating and it would be amazing to witness it all come together.